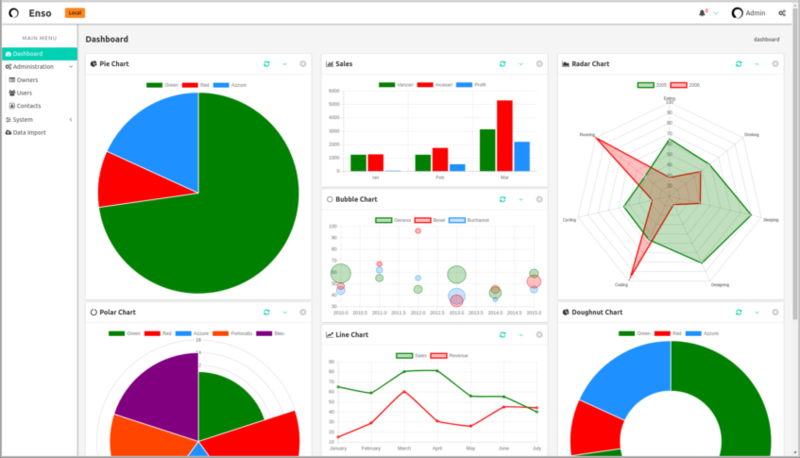 Server-side data builder for Chart.js , with 2 Bulma styled, VueJS components for the frontend. i18n - function, parameter for translating labels, legends and data | (optional) By default, if used within Enso, it will attempt to use the __() translation function. If the translation function is not available, it will just return the text to be translated as is. The Chart builder will use the colors from app/config/enso/charts.php (in that order) for the given data-sets.